At Adelaide Telefix, we are the outdoor TV antenna specialists. We offer a wide variety of antenna services for your TV antenna setup, including upgrading your existing TV antenna, servicing your TV antenna, installing a new antenna, and repair services where we can replace damaged or worn out cables and parts. 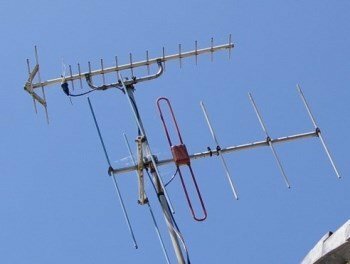 We are the experts to contact if you are looking to have your existing antenna upgraded. We can look at your existing home TV setup, and determine the best antenna solution for you to deliver the highest quality signal and reception to your TV. Our expert technicians will ensure that the new antenna is securely installed and placed so that it can withstand all types of weather (such as storms, heavy rain, and more) while still providing you with great signal quality, and we use the latest and most durable outdoor cables for your TV antenna so you can be confident that your antenna setup from Telefix will last for years. If you have an old analog antenna, we can also upgrade it to a new digital antenna, so you can take advantage of the better image quality that digital TV provides. Contact us below at Adelaide Telefix and get your existing antenna upgraded. If this is the first TV antenna that you are having installed, our technicians can advise you on the most appropriate TV antenna for your home, and install it for you. We have years of experience installing TV antennas, so our technicians know the best type of antenna to use for your particular situation, and can install your TV antenna so that it gives you the highest quality TV reception and is secure no matter the weather. We can also accomodate specific requests for your TV setup as well, for example if you have multiple TVs that you want connected to your antenna at the same time, or any other type of request you may have. Contact us and we will be happy to help. The team at Adelaide Telefix can also repair any damaged or worn out parts you may have. 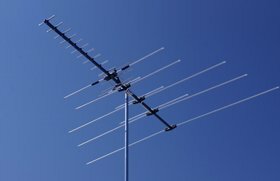 We can also fix outdoor TV antennas that are having problems. We can replace worn out or damaged antenna cables with new ones that are far more durable to weather conditions, and we can also replace any damaged connectors or fittings to ensure that you get the best image quality and reception for your TV. Contact Adelaide Telefix today to have your existing TV antenna upgraded, or to get a new TV antenna installed.